Who knew making it was this easy?! I have no idea why I didn’t make this sooner…I guess when you do something one way for such a long enough, you just don’t really think about doing it any other way! 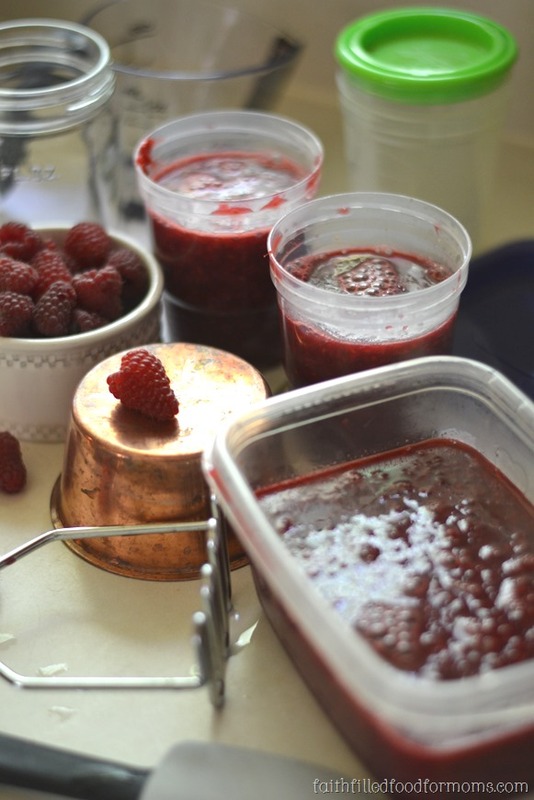 1 The Best Raspberry Freezer Jam…the Easy Way! 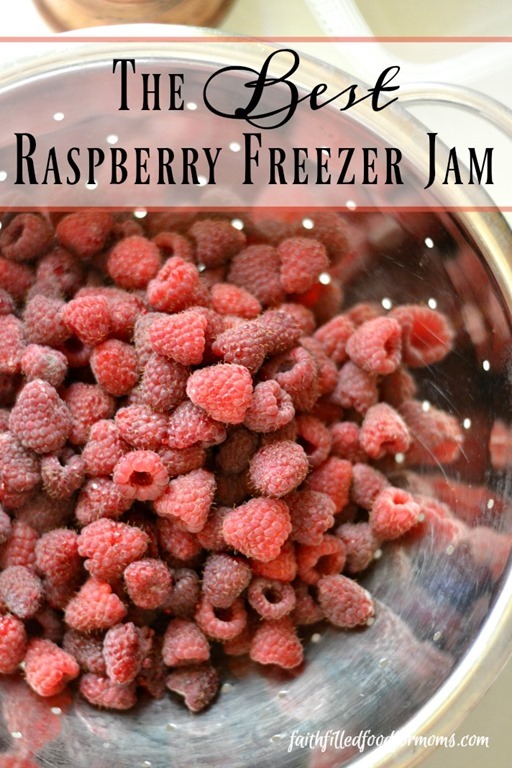 The Best Raspberry Freezer Jam…the Easy Way! Colander ~ you can use any kind you like. I love my big Stainless Steel, it has lasted me for years! Potato Masher ~ I’ve found that using a potato masher is the best way to smash just about anything…but you have something else you like to use…that’s ok! Containers ~ such as the plastic Ball Jars I used, any plastic container OR you can even use glass canning jars! 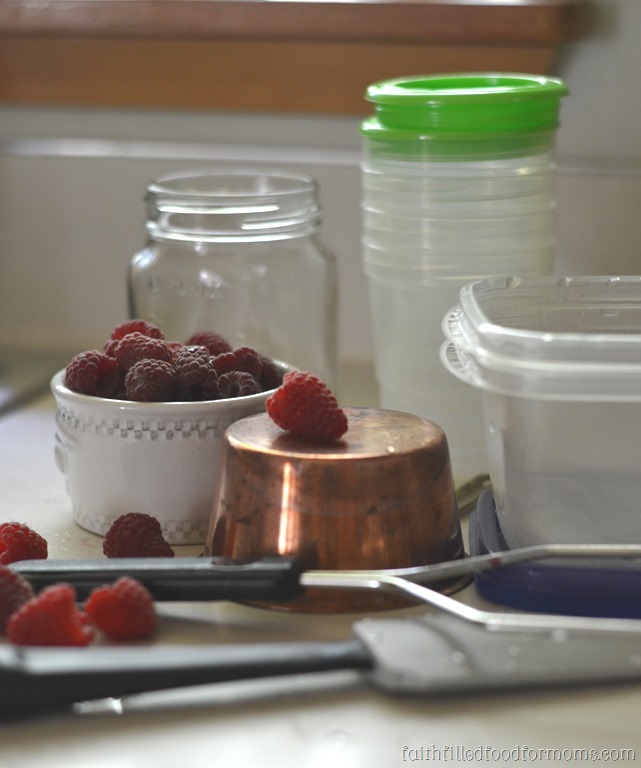 Whenever you are canning ~ whether freezer canning or water bath canning, make sure that you have ALL of your supplies ready, sanitized and clean. This is always super important when your preparing food for storage. Rinse the Raspberries off. 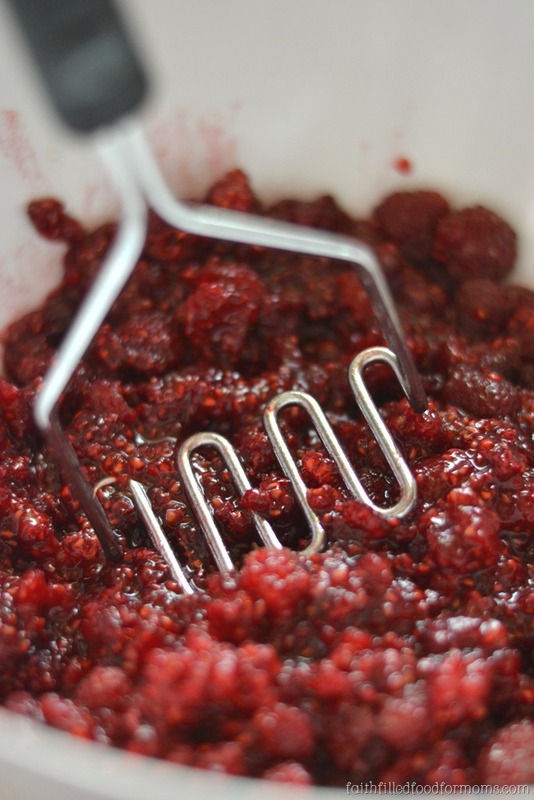 Using a potato masher, mashed up the 6 cups Raspberries. This will make about 4 cups of mashed berries. Then simply add about 3/4 ~ 1 cup water, depending on desired consistency. Next add sugar IF you are adding sugar. You don’t have to, fruit is naturally sweet! I added only 1/3 cup sugar, which is not much. Then simply pour your Jam into your containers! My very favorite jars are these Plastic Freezer Jars with Lids. The reason I love them so much is because you can use them for so much more than just canning. Like Yogurt Parfaits, Peanut Butter in the bottom with celery sticks…etc. We use them all the time. I also added some other containers, so that you could see …. 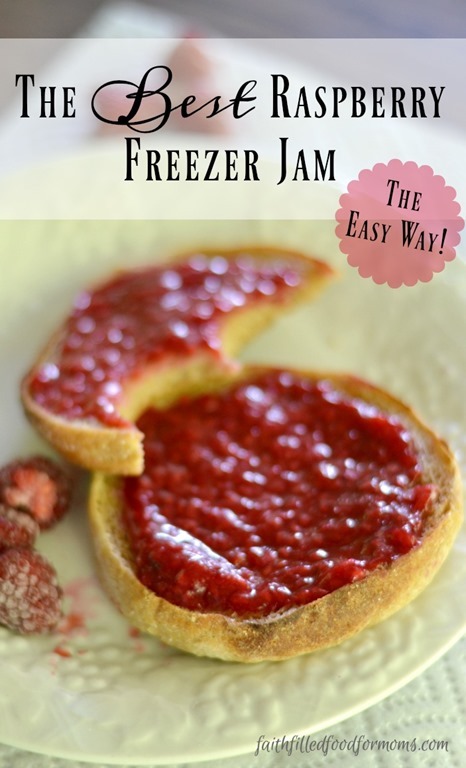 you can really put freezer jam into anything! That’s it! Wait about 30 min. before eating, so the jam has time to set OR just put directly into the freezer or fridge! Jam will last about 3 weeks in the fridge or up to a year in the freezer! YUM! This looks delicious! I have never had raspberry jam, but I definitely need to consider making it. Hi Crystal! Thank you and it is just tooo easy and deelish not to try…my first time on freezer jam too…I think it will be the way I make it from now on! LOL Have a blessed day! I have never made freezer jam either. When do you add the pectin? Hi Ruth! You simply add it in with the water and crushed berries…that’s it! If I had known it was this easy I would have been making this years ago! 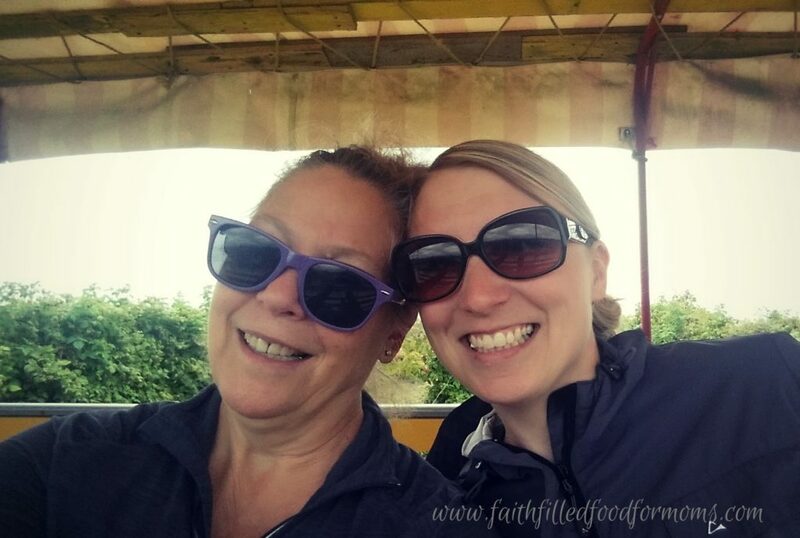 LOL Thanks so much for stopping by…blessings! It’s super easy and deelish Rachel! Thanks for stopping by..have a blessed day! 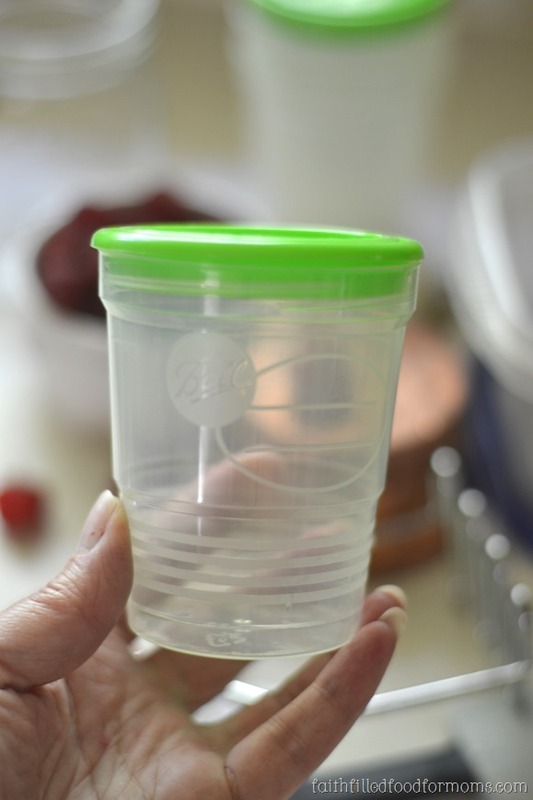 How do you sterilize the plastic containers? Great question Bev! I simply run them through the dishwasher for sanitation and sterilization. 🙂 Happy Freezer Jam!